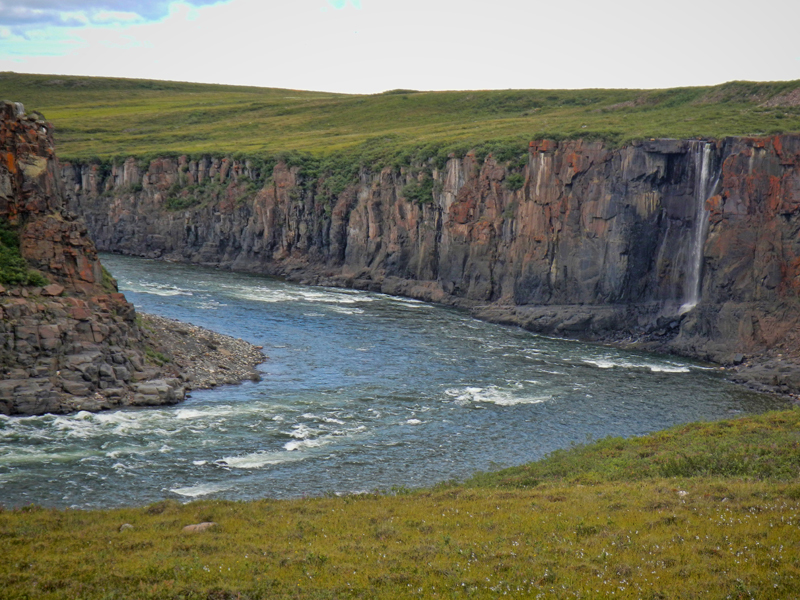 An all-day hike gains significant elevation affording breathtaking views of the sweeping Coppermine River Valley. 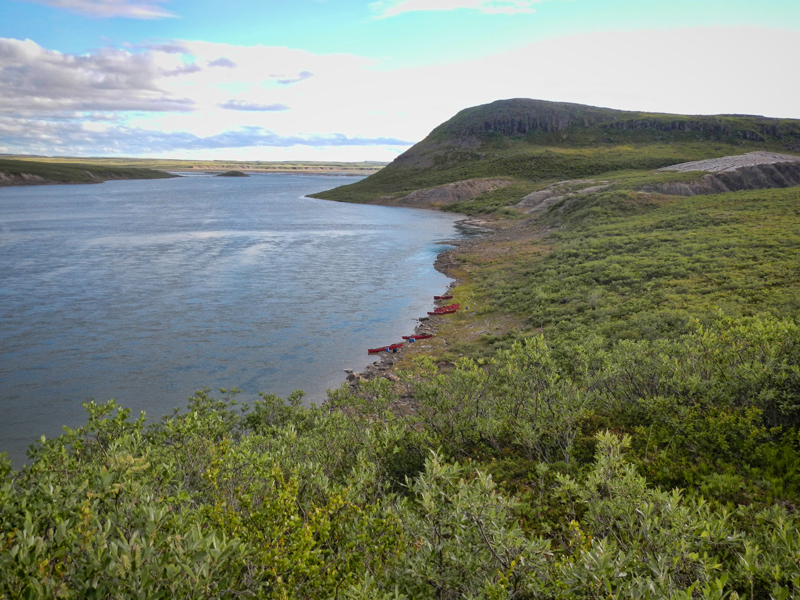 Caribou and muskoxen are plentiful in this area of the river and with luck we might see grizzly bears or wolves. 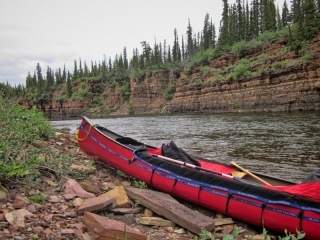 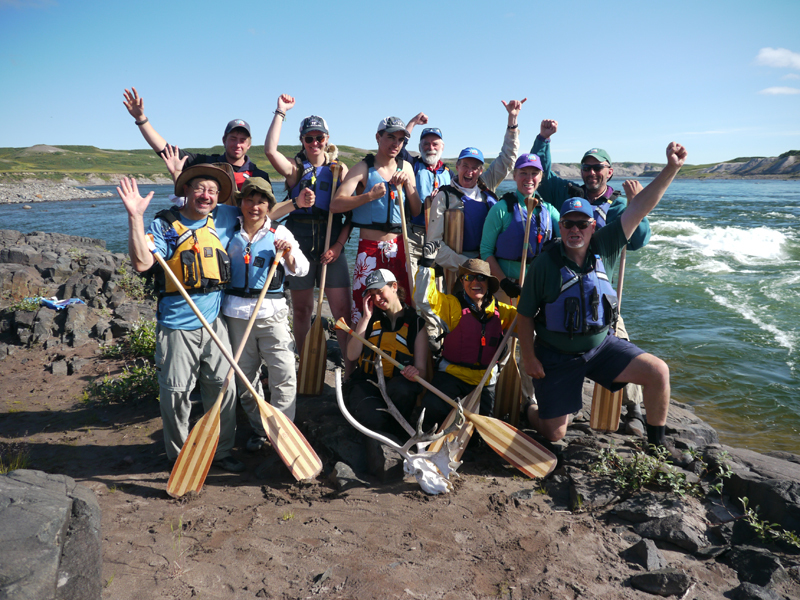 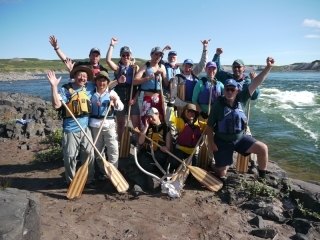 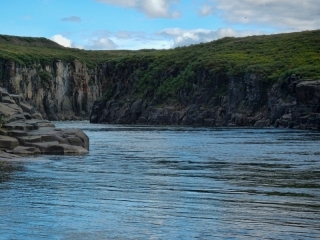 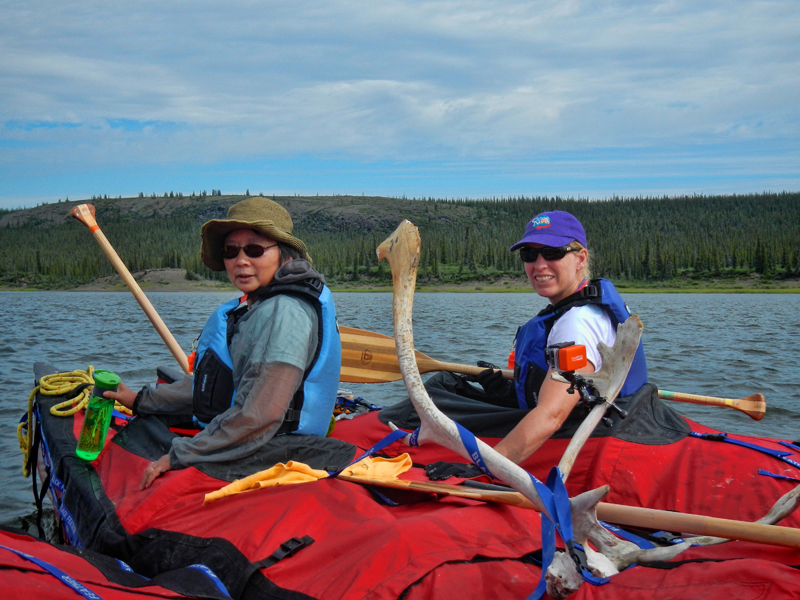 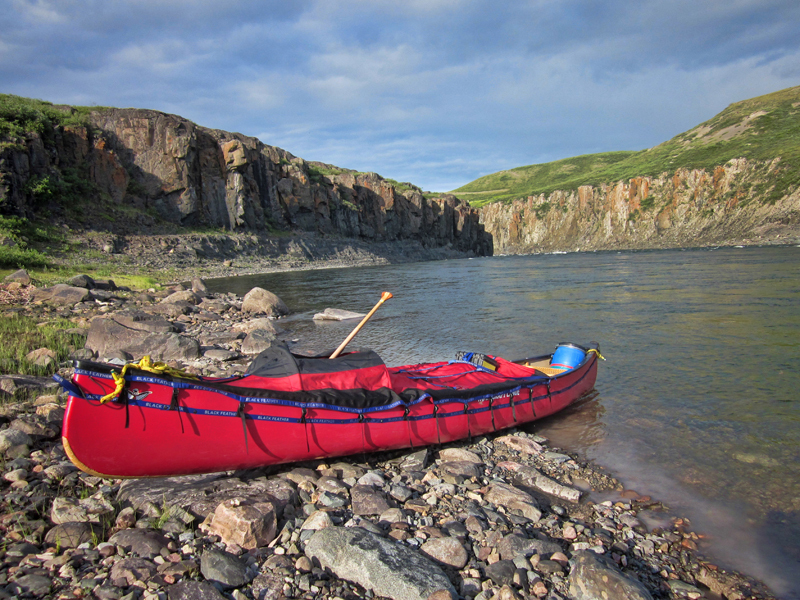 Sandstone, Muskox and Escape rapids challenge even the most experienced canoeist. Some sections of rapids may be lined. 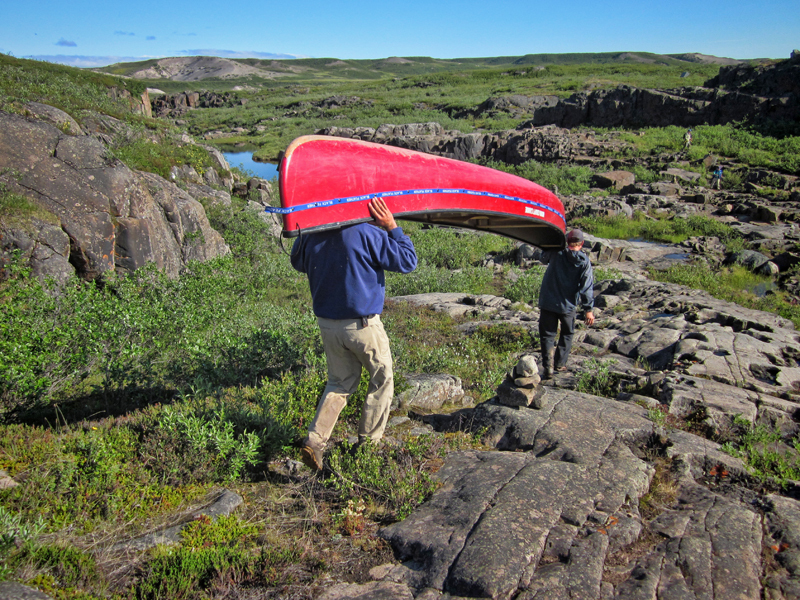 A rich archeological legacy presents opportunities to experience stone tent rings, meat caches and inukshuks. 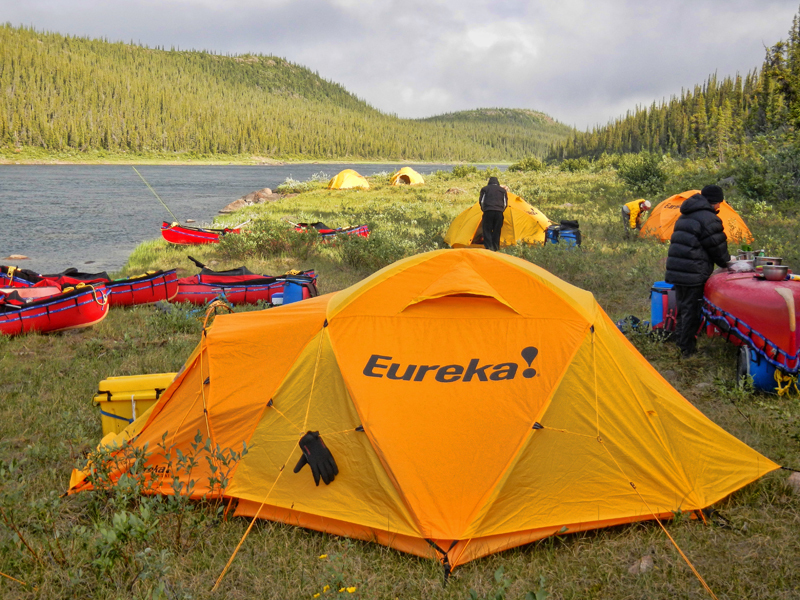 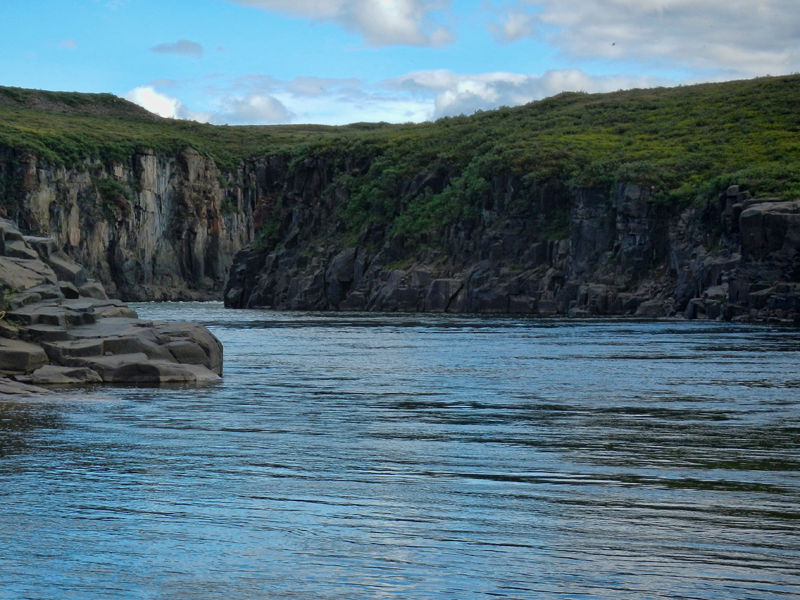 At historic Bloody Falls, a portage trail brings us to our final campsite at a fabulous char pool and our first look at the distant ocean at Kugluktuk. 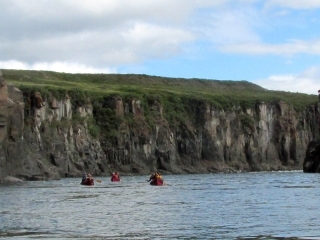 A half day paddle brings us to our final destination of Kugluktuk and we will have time to explore this remote Inuit community. 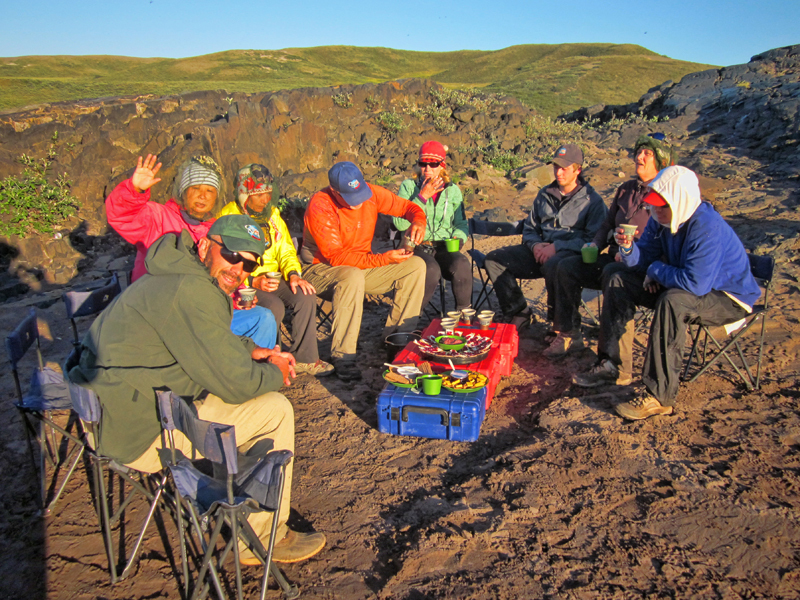 The expedition concludes in Kugluktuk. Day 2-4 Easy swifts and flat water sections through rolling boreal landscape. 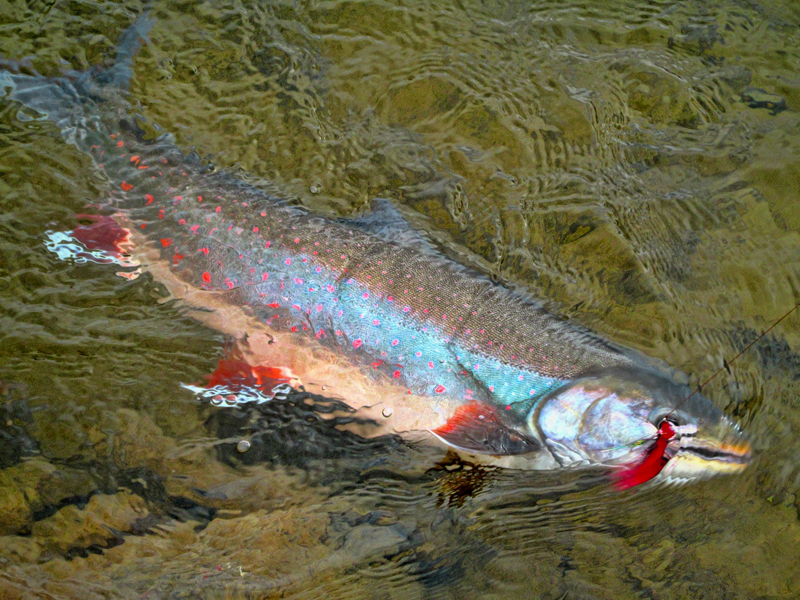 Great fly-fishing for arctic grayling. Day 5-6 The large volume rapids of Rocky Defile with sheer cliffs and stunning scenery. 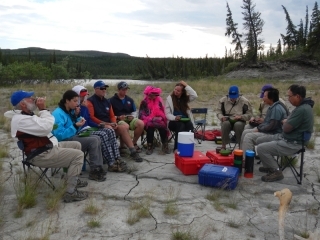 Layover campsite downstream at Kendall River confluence. 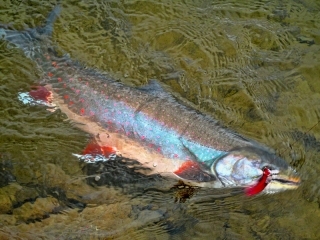 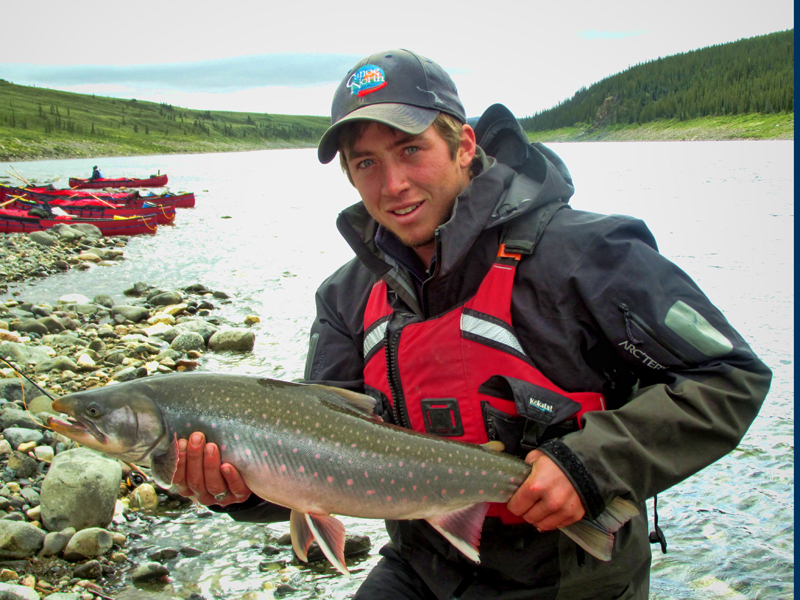 Superb arctic char fly-fishing! 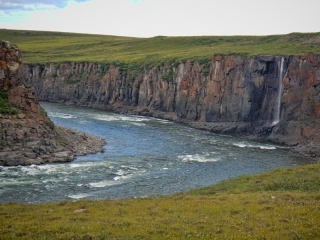 Day 10-11 Hiking in September Mountains area, the region is rich in wildlife with possible sightings of moose, caribou, muskox, fox, wolverine and bear. Fishing is excellent for Arctic grayling, trout, whitefish, Arctic char and pike. 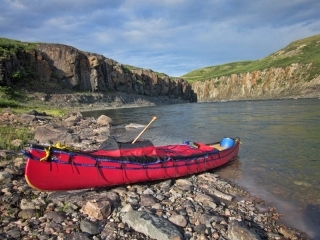 Day 12 Arrive historic Bloody Falls Territorial Park, explore this beautiful site. 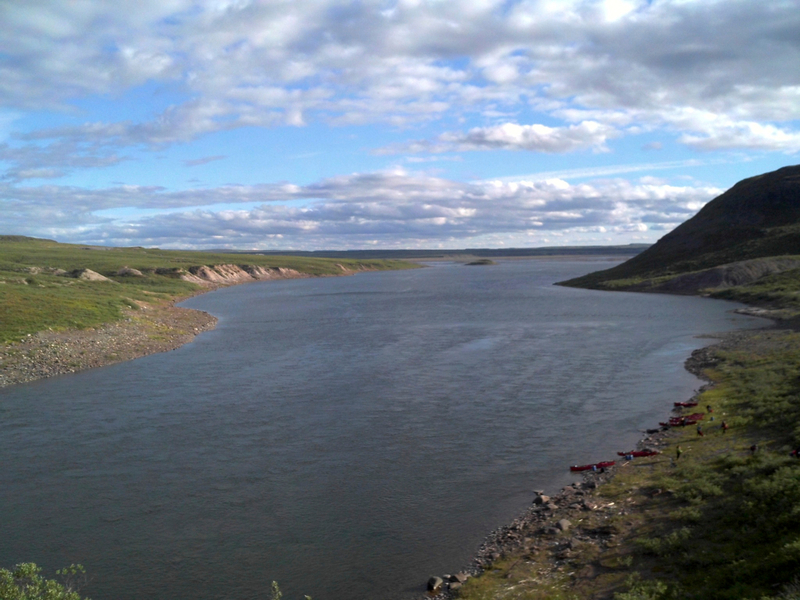 Day 13 The end of this journey takes you to Kugluktuk the ancient home of the Kogluktogmint Copper Inuit. We will have a walking tour of the village before returning by commercial jet service to Yellowknife on Canadian North Airlines (not inlcuded). 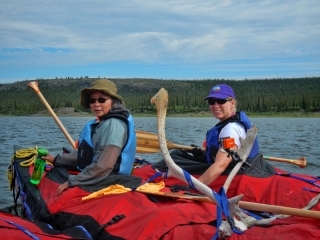 Departure Depart from Kugluktuk on a commercial flight. 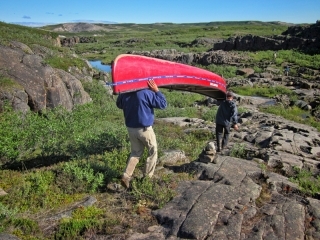 Most travellers prefer overnight accommodation in Yellowknife and depart the next morning for home.